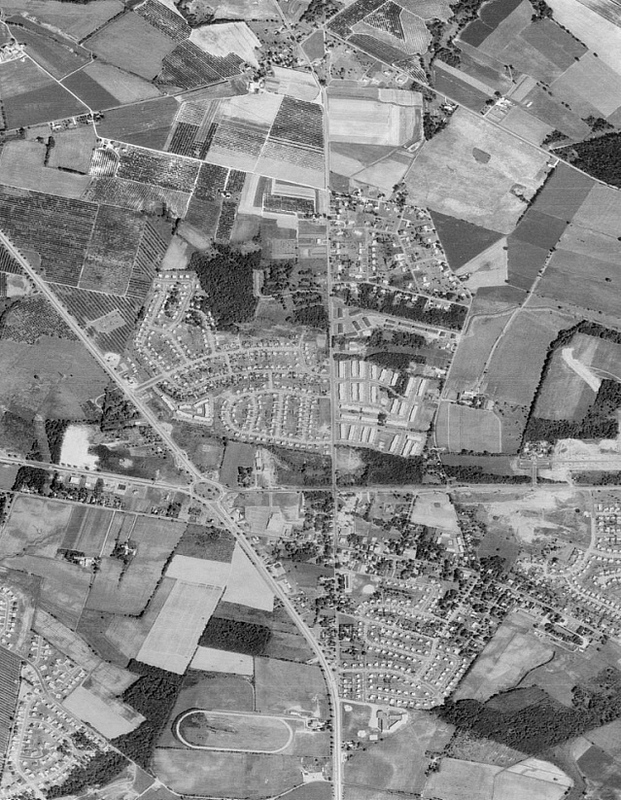 This photo shows Woodstream still surrounded by farmland, Route 70 is shown near the bottom of the image. In these photos we can see development and growth in full swing. This is the Marlton Circle area. While development has begun there was still alot of working farms here at this time. 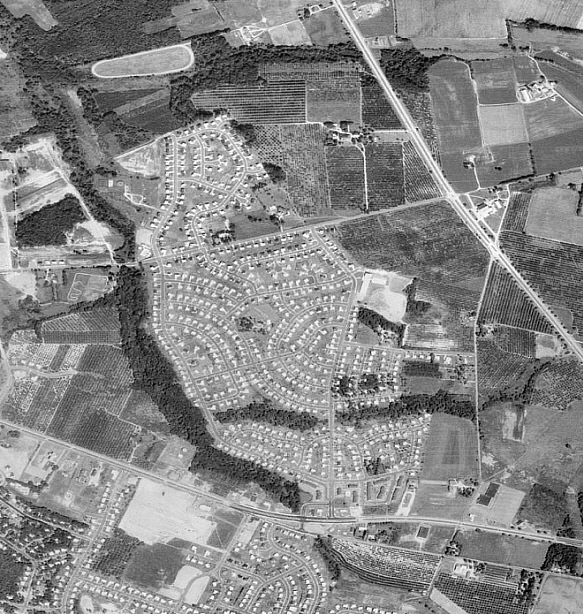 The T-shaped roadway along Route 70 was parking for the Cambridge Park model home exhibit shown above this.